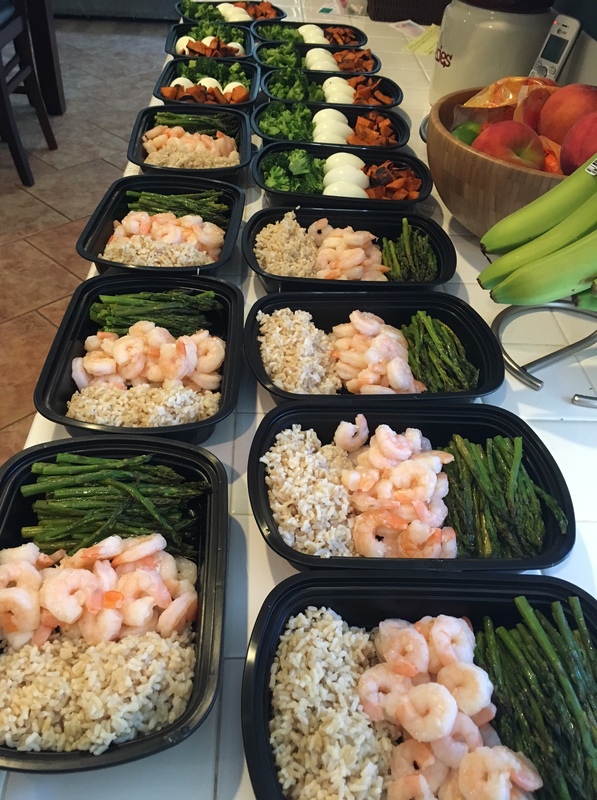 This past Sunday I meal prepped two different meals, lunch and dinner, for myself and my husband. This type of meal prepping isn’t typical in my home because it’s quite professional but for this week, it was necessary. 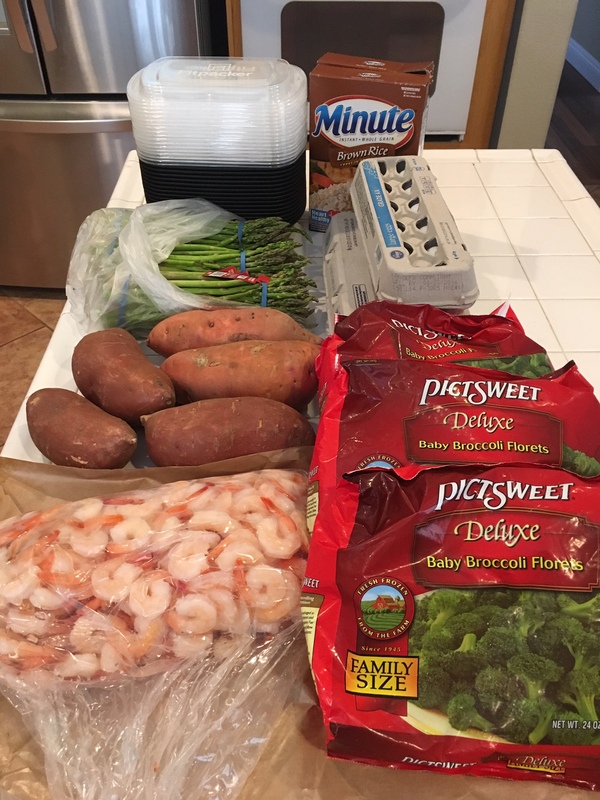 We have a very busy week and are on-the-go so we needed easy to grab meals that would allow us to stay on track. Coming home after a busy day and cooking a healthy meal is a lot harder than it sounds. Passing countless fast food chains is tempting, especially when you have little ones in the back seat begging for McDonald’s. If these photos scare the crap out of you, don’t let them. As I said, this was a pretty fancy meal prep and since it’s lunch and dinner, there are 6 different food items instead of the typical 3. Meal prepping can be as simple as turning on your crockpot and making a Turkey Chili that can last the week. It can be grilling 6-10 chicken breasts on a Sunday afternoon and just adding a veggie and complex carb to it for dinner. It does not have to be complicated. 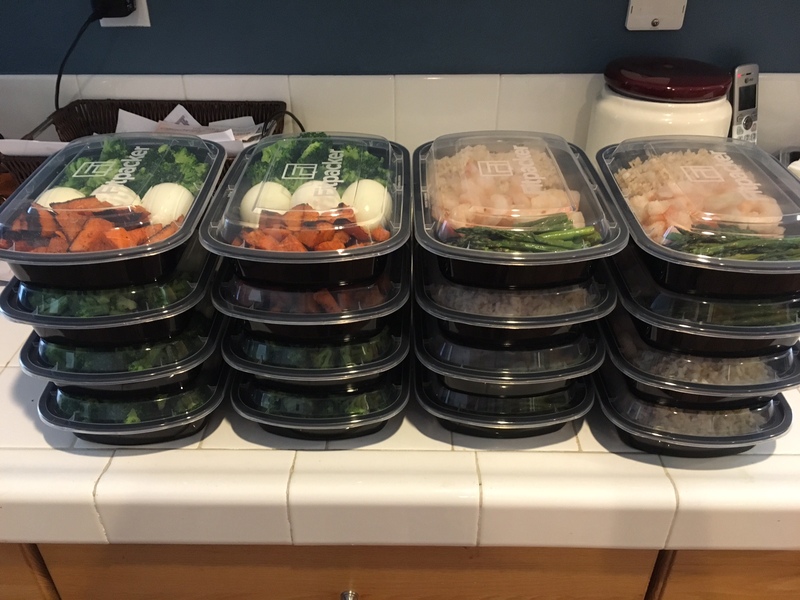 It took me an hour and 45 minutes to make 16 meals and we are set until Friday. The relief I feel outweighs the time spent in the kitchen. Allowing yourself a break from thinking about food because it’s already done, is a great treat. Again, it doesn’t have to be too difficult.